Take an amazing twin-centre holiday, seeing two of America’s most incredible destinations: Hawaii and San Francisco. 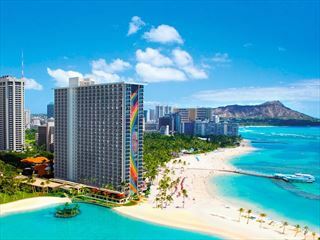 You’ll fly into to beautiful Honolulu on the Hawaiian island of Oahu, and enjoy six nights taking in the best of the city. Then you’ll depart for San Francisco, America’s bohemian cultural colossus. You’ll make the most of the sights at this famous city over the next three nights, riding the cable cars, sightseeing the Golden Gate Bridge and experiencing the fun-loving atmosphere. Remember that we can tailor-make your holiday to suit you – whether you’d prefer more time somewhere or you’ve got a specific hotel in mind, we can arrange an itinerary that’s perfect for you. Give us a call for your own personal quote. 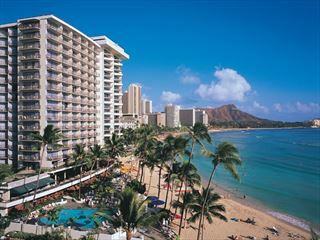 You’ll fly in to beautiful Honolulu and make your own way to your hotel, where you’ll stay six nights. You’re free to do as you please in this stunning tropical paradise. Make some time to visit the museum, temples and art galleries of the city centre or, if you’ll feeling mellow, chill out on the beach and work on your tan – with a beach as beautiful as Waikiki on offer, no-one would blame you. There’s a huge range of golf courses nearby if you’re itching to get in a few rounds or alternatively if you’re just looking for a good time, Honolulu boasts some of the best nightlife in the whole of the USA. On the seventh day you’ll leave Hawaii, catching a plane the City by the Bay; San Francisco, home to some of the most iconic sights in America. You can explore the city on foot or in one of the famous cable cars – seek out the shopping delights of Union Square or visit the historic Chinatown. Enjoy a final morning of shopping or sightseeing before heading to the airport for your flight home. 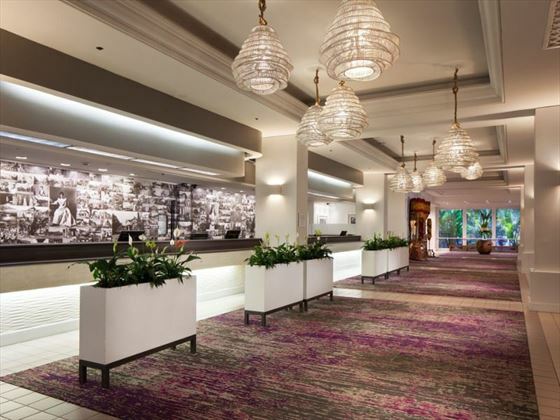 Right in the heart of downtown San Francisco sits The Handlery Union Square, a welcoming hotel offering comfortable suites and delicious food for when you want to relax from the liveliness of the city. 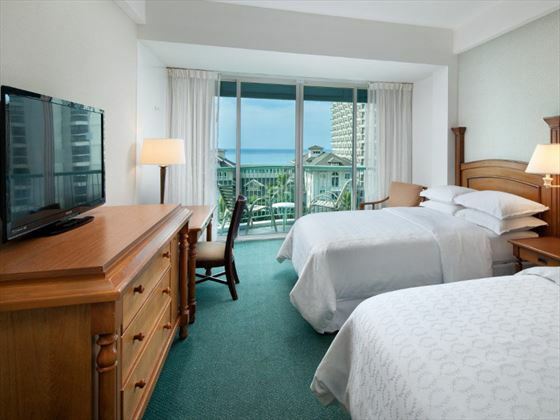 The Sheraton Princess Kaiulani is in the centre of the resort of Waikiki Beach, “second row” from the beach itself, located just off Kalakaua Avenue. You can walk in just a couple of minutes to the iconic Waikiki Beach, where you can enjoy the surf and sip a cocktail. 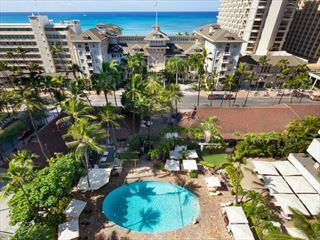 Surrounded by the best restaurants and shops, just short drive from Diamond Head State Monument hiking trails and the Honolulu Museum of Art. This comfortable hotel has a lovely pool area and nightly Hawaiian entertainment, perfect for all types of holiday, from business to honeymoon, with fantastic facilities and well-appointed spacious rooms. The lovely Pikake Terrace restaurant offers Hawaiian specialities and classic buffets and the poolside Splash Bar offers bento-style dining and tropical drinks with nightly entertainment. 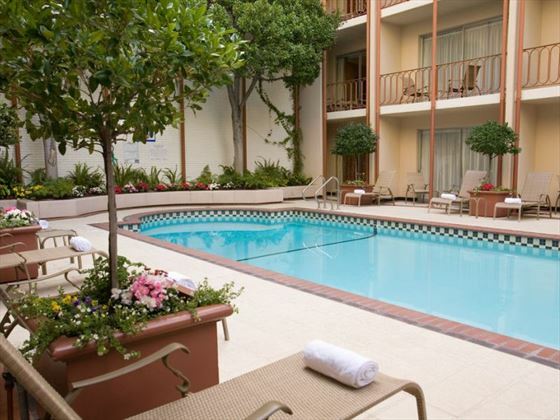 Along from the lively plaza of Union Square sits The Handlery Union Square, a friendly family-owned hotel with comfortable suites and gorgeous views of San Francisco’s skyline. Boasting a warm atmosphere and delicious American classics at the Daily Grill, The Handlery Union Square hotel is the ideal place to relax in-between exploring the main attractions of the dynamic city. A stunning megaresort situated within an enviable location on Waikiki beach on Oahu, the Hilton Hawaiian Village Beach Resort & Spa certainly makes an impact. Surrounding this expansive resort’s five hotel towns are manicured gardens, a five-acre lagoon, waterfalls and koi ponds – to name but a few of the spectacular features you’ll find here. No matter what your taste buds are craving, there’s sure to be a restaurant to suit your mood – this resort caters to almost every cuisine with 20 restaurants and bars, from pizza and sushi to New York-style delis and Italian. The spa and fitness centre is perfect for keeping active or winding down after a long day, or you can head to one of the five outdoor pools to soak up the Hawaiian sunshine. Top tip: The Camp Penguin children’s programme is superb; let the kids enjoy arts and crafts, hula and lei making classes, storytelling and a number of fun excursions that will make their holiday that extra bit special.